Demand for rural property always balances several variables. How these weigh up determines what momentum the market will generate at any given time. Activity in the autumn market has been strong, right through into late May, which will also flow through into June, as several property transactions culminate at the same time. As you will note elsewhere in this edition of Rural Property Pulse, growing conditions for viticulture, kiwifruit and red meat are excellent, and export demand means returns are at or near record levels. Anyone operating in those sectors is therefore faring well, and demand for land that can be used to grow these products is strong. Dairy is less positive. Although export returns and growing conditions also favour dairy farmers, external factors do not. Chief among these is Mycoplasma bovis. Those at the sharp end of the outbreak will find it difficult to make clear decisions around the future of their business. If that is you, remember there is plenty of support throughout the rural community: you do not have to face this alone. Uncertainty around the government’s review of overseas investment and increasing pressure to align with freshwater regulations are additional issues making it a challenging period to be a dairy farmer. Consequently, sales of dairy properties were slow through the autumn, and are likely to continue at a subdued level until value expectations adjust. Although this may take time, it will happen eventually: when there is a correction, or a new factor that farmers need to become accustomed to, it always does. Because dairy is a key component of our business, a cooling of the dairy property market impacts on the whole market. Meanwhile, with property owners in the other sectors preferring the cashflow the good times provide, ahead of capitalising on the high demand for land, rural property sales have been slow this year. Demand for drystock listings will be strong. Aside from the underlying enthusiasm for pastoral farms with proven credentials for sheep and beef, dairy farmers wary of Mycoplasma bovis are looking to establish standalone dairy units by adding grazing and support blocks to their existing milking platforms. They want greater control of their stock management, which will help them manage the risk of the infection. As this demand heats up, early listing of relevant properties may prove beneficial. Viticulture and horticulture have had a good season. This will continue next year, with demand for land able to grow kiwifruit, avocados or grapes matching the demand for developed vineyards and orchards. Other than viticulture and horticulture, the days of significant capital gains are gone. Purchasers and their financial advisers are looking for ongoing return on investment, and will undertake extensive due diligence to determine that, rather than investing solely in the ‘X factor’ of a property. Demand for farms close to provincial towns, such as Cambridge, is strong and climbing. Traditional buyers are generally more active in these ‘A list’ areas and, with land use change imminent around such towns, these particular markets will heat up yet further. As noted, because of the hiatus in foreign investment regulations, the market for large dairy farms is evolving, and changes in usage and size may be in prospect for these farms. That final point also has an implication that expands wider. With the situation around the Overseas Investment Office now fundamentally altered, and confusion prevailing within that system, it is now no longer beneficial for anyone with a property that might otherwise attract an overseas buyer to hold out for that party to appear. Vendors now need to find buyers closer to home, within the local market. 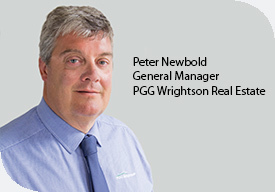 The best aligned rural property specialists to provide that solution are your local PGG Wrightson Real Estate team. We are the logical way to link to the broader spectrum of rural New Zealand. Our network of relationships with partners including individual farmers, producer and grower groups, iwi, and other rural professionals is the most comprehensive on offer, making our team best placed to meet your rural property needs, particularly when local buyers are in the ascendant, as they are right now.